No matter what size home you have in the Chicago area, window washing is one of those jobs that seems to be put off. It’s not something that most of us look forward to doing. But, you know that you’ve got to get it done at least every once in a while so you can see out and the sunlight can come in. 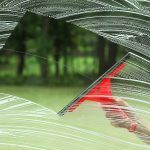 Instead of doing it yourself, consider these five reasons for hiring a professional window washing service. 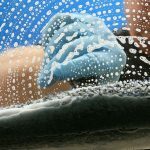 It’s Time Consuming – You’ve got a lot of other things going on in your life and taking an afternoon or an entire day to wash windows is just not possible. Sure, you could wait until your day off to get the work done, but it’s supposed to be a day off, remember? When you hire a professional window washing service, you can focus on all the other things that matter to you. At Green Clean Window Washing, we work to provide our customers with the most valuable window washing experience. It Can Be Dangerous – If you’re like most people, you probably don’t use a ladder very often. When you are washing exterior windows, in particular, you’ll need to climb up, clean the window and then climb back down. One misstep and you could get seriously injured. Leave the dangerous work for someone with experience and you’ll stay safe and secure on the ground. 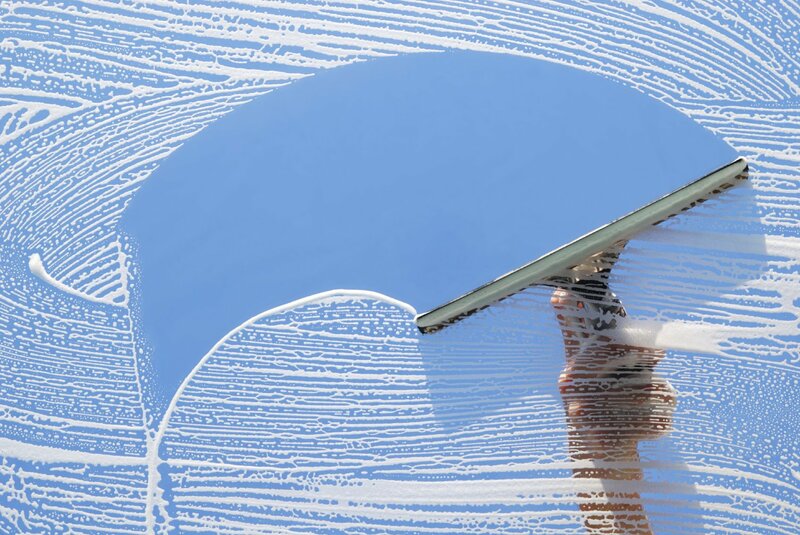 It’s Not That Easy – Maybe one of the reasons we don’t like to do it is that window washing is hard work. You have to scrub, dry and stretch your way around every single window, sill and track. By the time you’ve finished you’ll have clean windows, but you’ll also have a sore back and arms. If you hire a service, you can save your energy for more fun activities. 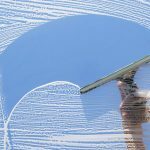 It Can Be Expensive – If you’re serious about doing it yourself, you’ll need the proper window-washing cleaners and products to assure you get your windows good and clean. You’ll also need some equipment like a window squeegee, towels, a ladder and maybe even a power washer. If you hire a pro, you won’t have to lay out any extra cash for the supplies, it’s all about the service. You’re Protected – You probably have homeowners or renters insurance on your dwelling and that can help if you have an accident while washing your windows. If you get hurt, that’s nice to know, but it’s still very risky. A good, reputable window washer will not only be insured, but they will also be licensed and bonded for an even higher level of protection. If your windows need a good washing and you’re just not up to the challenge yourself, consider hiring a window washing service. You’ll have clean windows and a little extra time on your hands too!